Charles Guerin is an artist whose works on paper and canvas have spanned four decades and have been collected and exhibited widely. 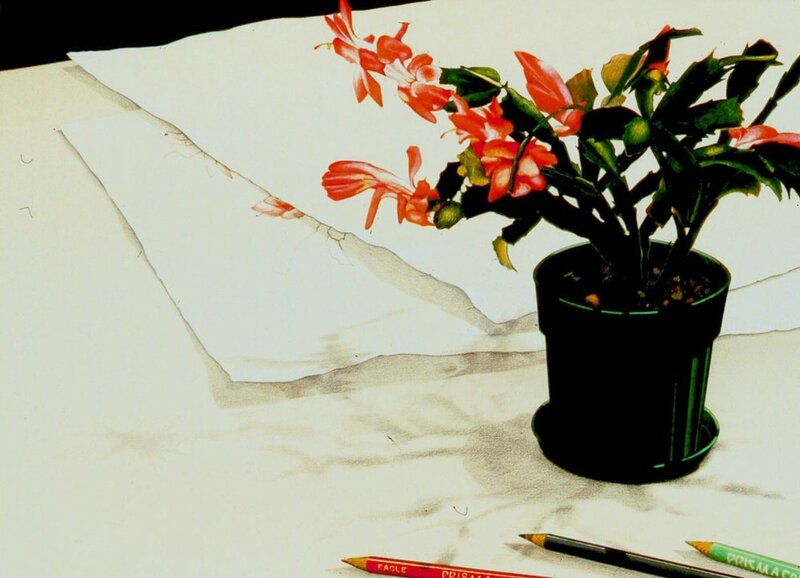 His work is essentially "Photo Realist" in nature, inspired as a reaction to the Pop Art movement of the 1970 and by the camera itself which he uses as a sketch book of sorts, capturing chance still life arrangements, landscapes, and other visual material in and outside of the studio setting, Increasingly, his work captures the process of making art, and deals with the ambiguity that many artists encounter while working, separating the experience of making art in the studio or in the field from the final work of art itself. It is a common question, one which the Abstract Expressionist grappled; is the act of painting the art, or is it the final work? For Guerin, it is both.. 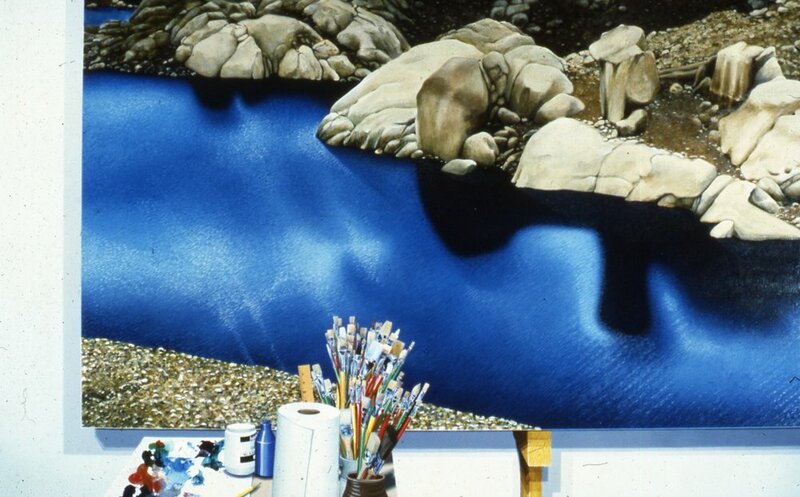 He addresses the real and illusion in a Trompe-l'oeil expression of the studio process.